Peeking through the flowers at a view of Oxford Street. 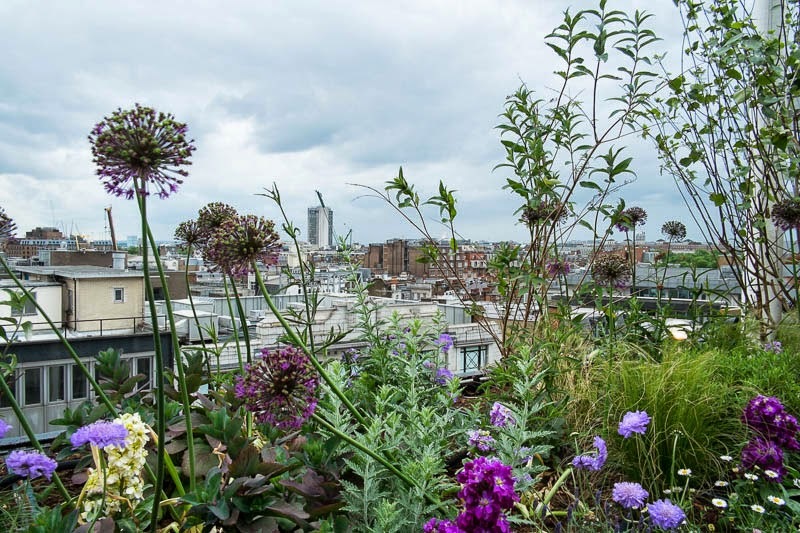 The other side of the rooftop garden on John Lewis department store. How lovely it would be if all the stores along this street had gardens. That is a nice look through the flowers. I love this view with the flowers in front. Terrific views from up there! We need more green roofs in the big cities. Cool view.